The logger who was killed in a tragic accident near Beasley on Monday always “went the extra mile to help a friend,” said a close family friend. 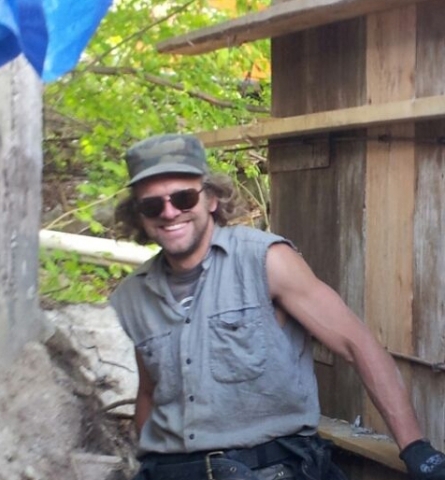 Levy, 35, was killed Monday in a fatal logging accident west of Nelson, BC while working as a choker for AF Timber. The accident occurred at 8 a.m., May 26 in the vicinity of the Smallwood Creek Forest Service Road about 12 kilometers west of Nelson. Now Levy’s friends are pulling together to raise money for his widow Alison Watt, two children Roah and Farrell, and stepchildren Owen and Kade in this time of need. “I put a $5000 goal on fundraising and have already surpassed that in under 24 hours,” said Kami Shkooratoff who began a fundraising campaign for the family on Facebook Tuesday (www.youcaring.com, search Kyle Levy). “As you can imagine, working during a time like this is impossible,” said Shkooratoff. “This will make finances extremely tight in the coming weeks and months." The goal is to raise enough funds help his family to recover through this heart breaking time without the stress of finances. Any and all donations will help assure their family has the time they need to come out of this without irreparable financial damage, Shkooratoff said. “Kyle was an amazing man and father. He was always hands on with his children and taught them his love of the great outdoors; sledding, skiing, camping and biking,” said Shkooratoff. “He was very committed to his life with Ali and their little rural home. He worked a great deal on their home, always making improvements. He had recently built a new garden for Ali and incorporated the children into gardening with them. “Kyle had a heart of gold and was always available to help a friend. When he did a job or loaned a hand he always went the extra mile and never asked for anything in return,” she said. “He has personally shown up to help me with more tasks than I could list, and I know many others who would say the same. He was fun and funny, his smile could light up a room and his easy way about him kept others calm. Another friend of the family has opened an account at the Nelson and District Credit Union for Levy’s children Roah and Farell. Donations can be made for his children in the Roah Levy account. Friends at Redfish School are also organizing meals for the family, Shkooratoff said. Levy had lived in the Nelson area for about 16 years. He had recently returned to the logging industry, within the last year, to work as choker. WorkSafe BC has assembled a special fatal and serious incident investigation to look into the accident. In addition to his immediate family, Levy left behind his children's mother, Melissa and his parents, sister and brother. Sunday, June 1 at 2 p.m. at Kokanee Park there will be a celebration of life for Kyle Levy. The event will happed at the group camping area #2 — the turn off is before the bridge, when you are coming from Nelson.